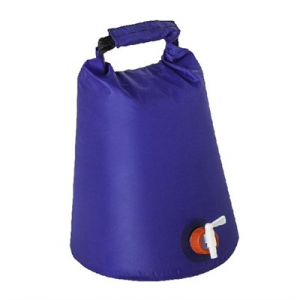 The lightweight, self-contained Hassock Portable Toilet has a comfortable contoured seat and a removable inner bucket for easy waste disposal. Take it to the campground, on the boat or to your cabin. The 5-gal. Luggable Loo Portable Toilet offers a simple bucket-style design and traditional snap-on lid for answering nature's call on camping trips. Great for car camping, you can convert any standard-size 5-gal. pail into a portable toilet with the Luggable Loo Seat and Cover. This Replacement Spigot for Reliance water carriers fits the Reliance Aqua Tainer and all Reliance 70mm water carriers. 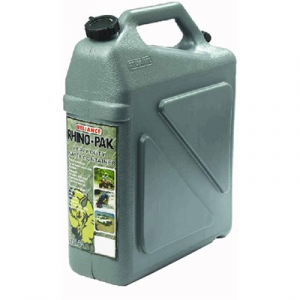 Reliance Water Pak Container - 5 gal. The barrel-shaped Reliance Water-Pak container holds 5 gal. of water and is ideal for camping, picnics and team sporting events.